In the autumn of 2009 Burnley Football Club Director Brendan Flood met with Burnley Football Club Chief Executive Paul Fletcher to discuss a new concept he had seen on a recent trip to Mexico, a ‘football university.’ But he suggested that rather than have students studying the ‘game’ of football (tactics, fitness, management, physiotherapy, training techniques etc.etc.) wouldn’t it be better to have a university that studied ‘the business’ of the football industry. That afternoon UCFB (University College of Football Business) was born. 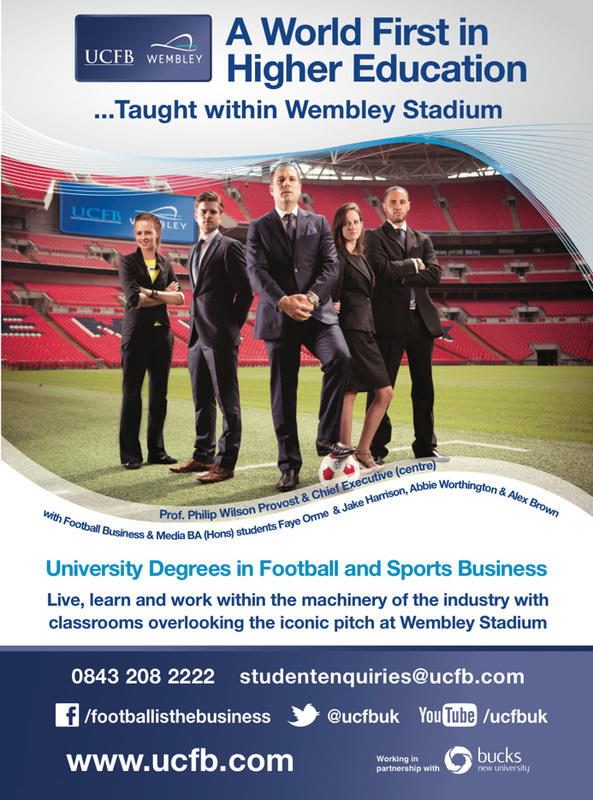 There are now UCFB campuses at The Etihad Stadium Manchester, Wembley Stadium London and a partnership with Real Madrid is now established. More campuses are plan at new stadiums around the world. Students from all around the world study the many aspects of the football business with core degrees in: marketing, media, finance, law, psychology, event management, stadium management and many others.